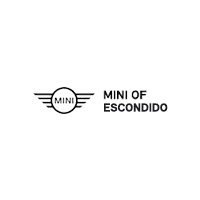 If you’re looking for a MINI Clubman around greater San Marcos or San Diego, you’ll want to choose MINI of Escondido. Here, we have a whopping 9 new MINI Clubman subcompact SUVs for sale. Whether you’re headed to your favorite hiking trails in Poway, or you’re planning on hitting some fun bike trails in San Diego, our 9 new MINI Clubman cars will surely accommodate your tastes. Take advantage of our new vehicle special offers – we’ll likely have a great deal taking place on a new MINI Clubman. When you’re ready, calculate your estimated monthly payments, and apply for financing online to get a head start on the car-buying process. With all of these luxury features, it’s no surprise the MINI Clubman earns high marks from Edmunds and other reviewers. If you’re ready to schedule a test drive of one of our 9 new MINI Clubmans, simply contact us today. We’re conveniently located in the Escondido Auto Park.